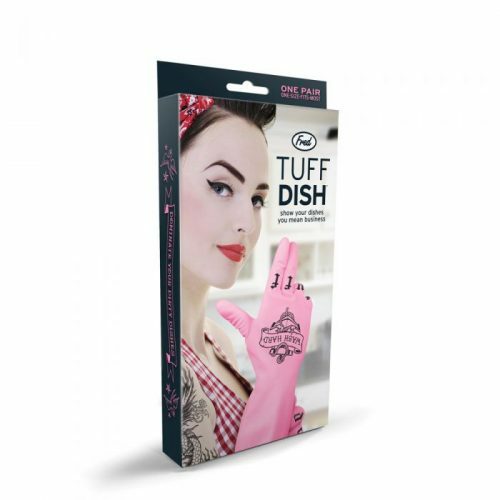 When it’s time to show your dishes who’s in charge, don Fred’s Tuff Dish rubber gloves and be the kitchen badass. Go ahead – gang up on those grimy glasses. 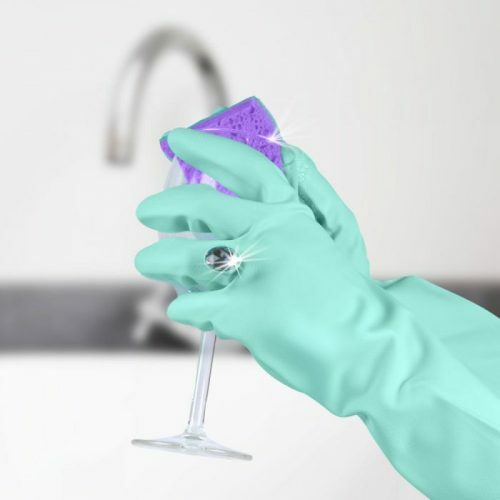 Or stay Clean and Classy with Beauty Clean wash gloves, as it has a dazzling gem built in, so you never have to sacrifice style while getting down to the business of cleaning. 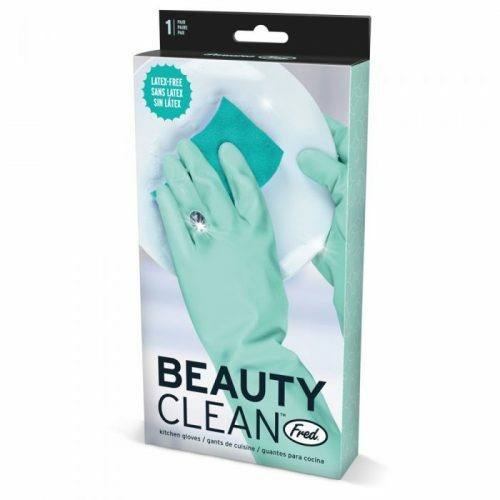 Latex-free, one size fits most. 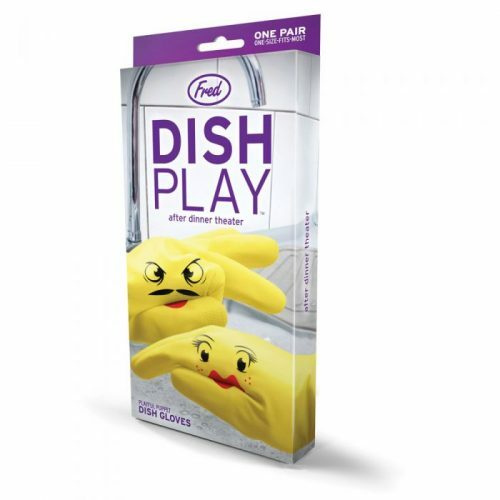 And if you’re one who has a tendency of talking to yourself while washing dishes, well, the conversation won’t be so one-sided when you’re wearing Fred’s DishPlay rubber gloves. 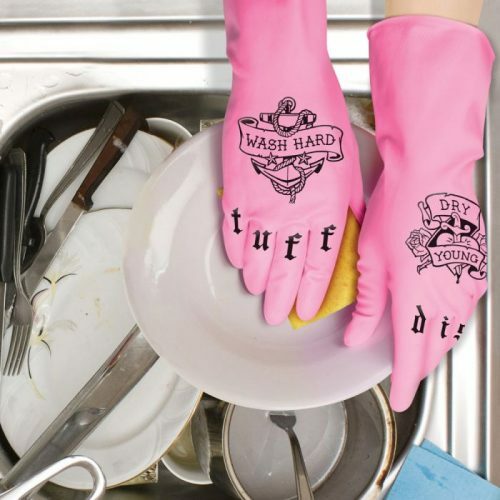 The more you work, the more animated they become, and their snappy rubber repartee will turn chore time into fun time!